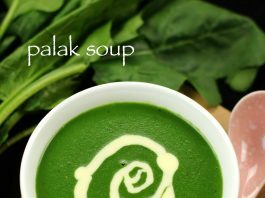 palak soup recipe | spinach soup recipe | cream of spinach soup with detailed photo and video recipe. 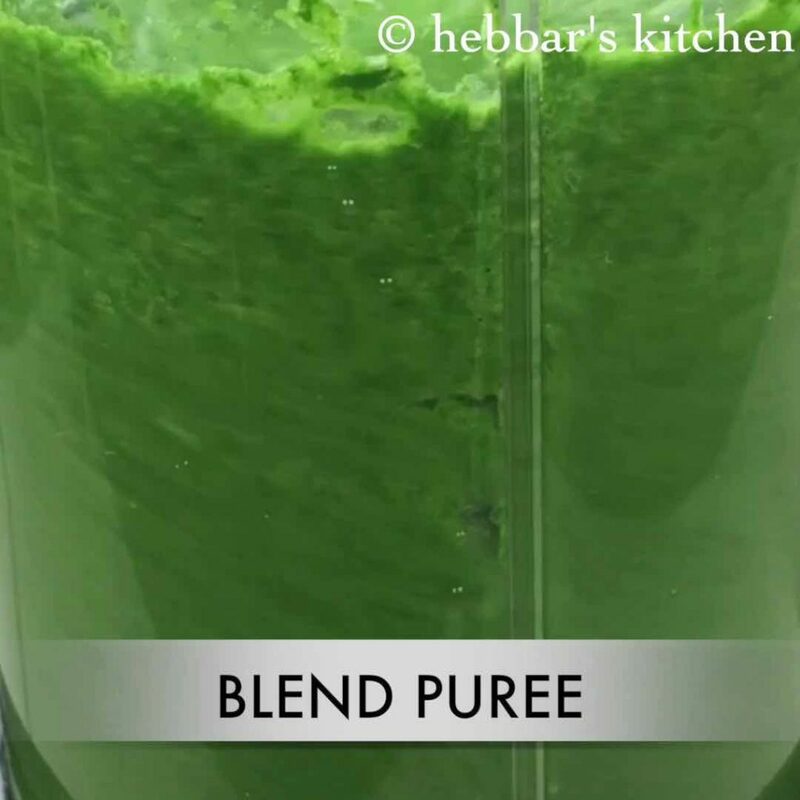 basically a thick liquid food prepared from blending spinach leaves with onions. 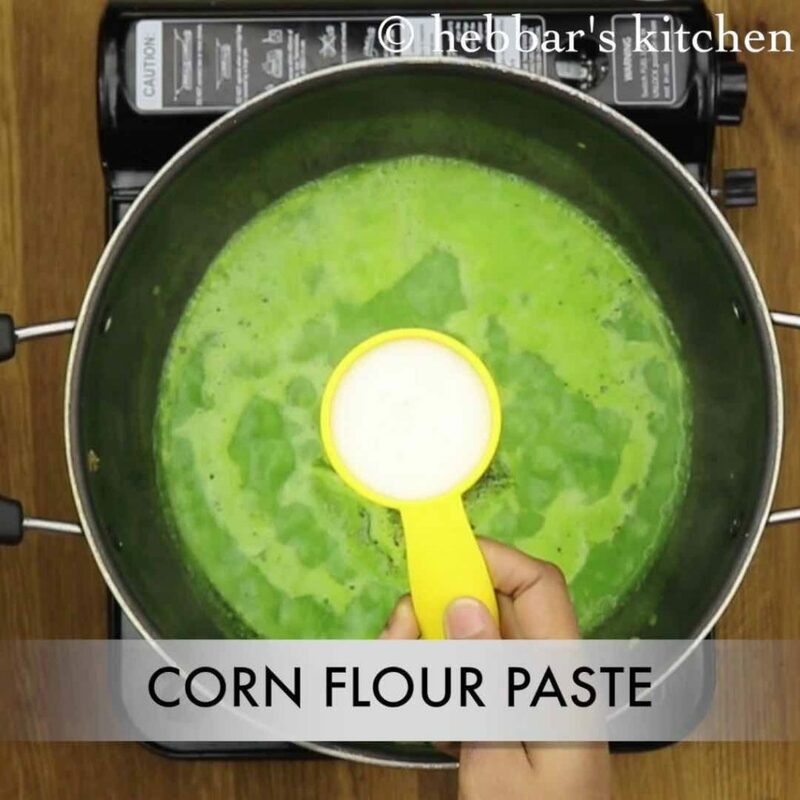 palak soup recipe | cream of spinach soup recipe with step by step photo and video recipe. 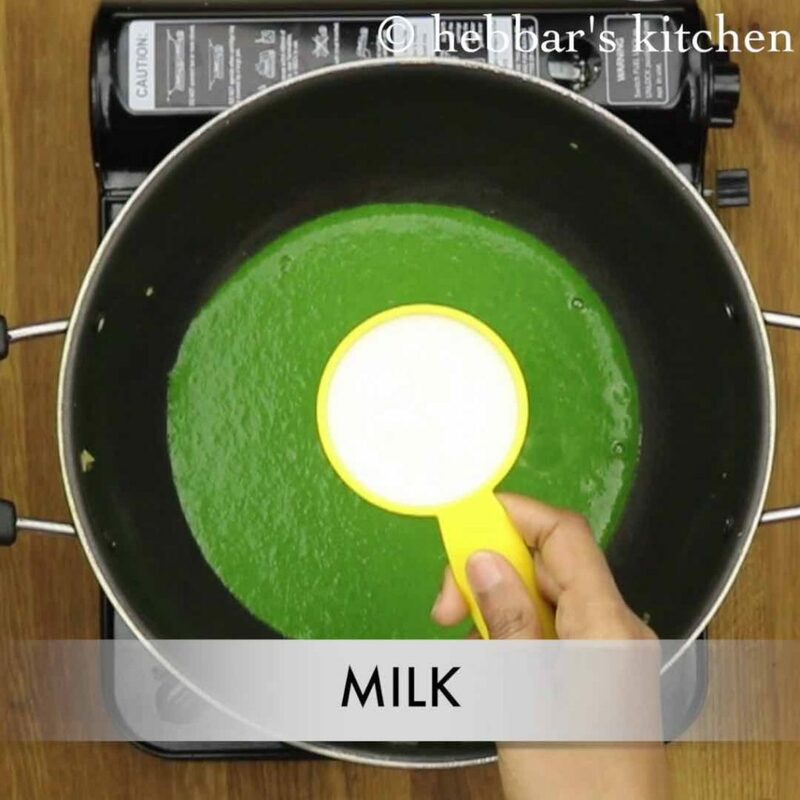 spinach soup is a healthy one pot liquid meal prepared with palak leaves milk and other spices. 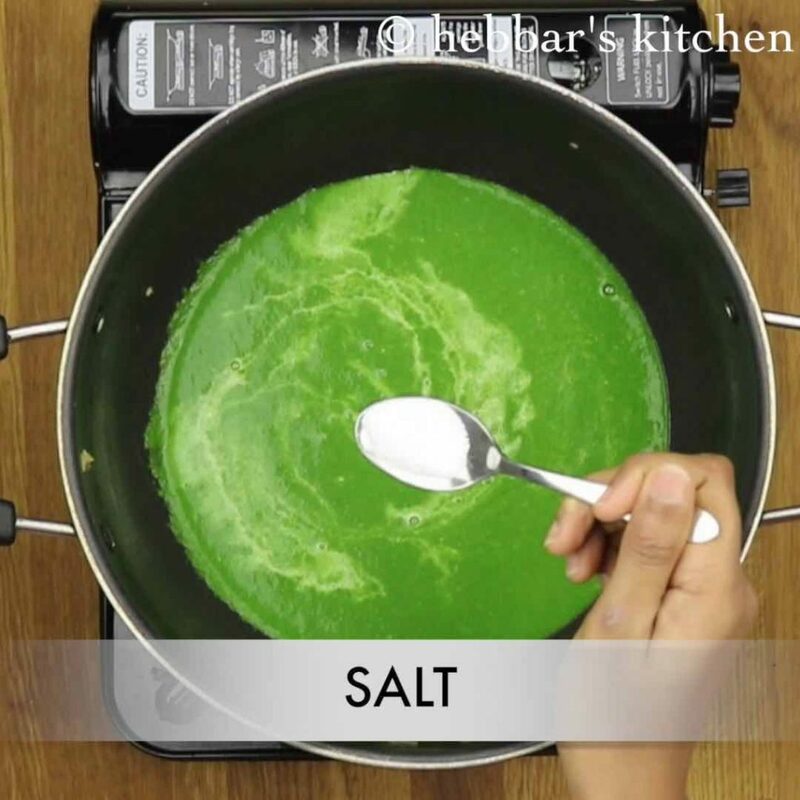 while there are several ways of preparing healthy spinach soup. 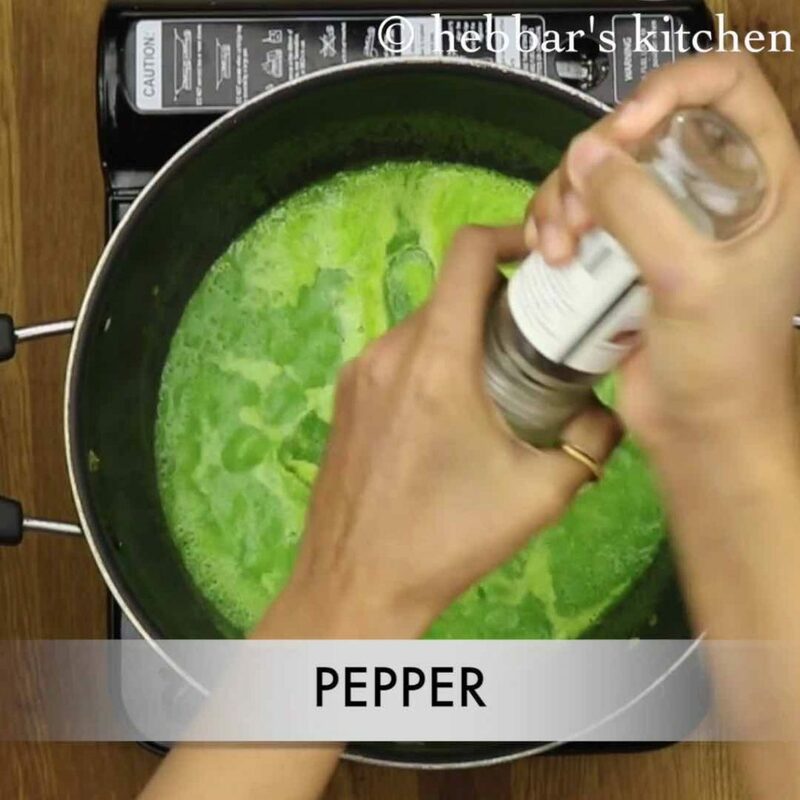 if you are looking for more palak recipes then check out palak paneer recipe, spinach rice recipe, palak vada recipe, palak pakora recipe, palak dal recipe and spinach raita recipe. 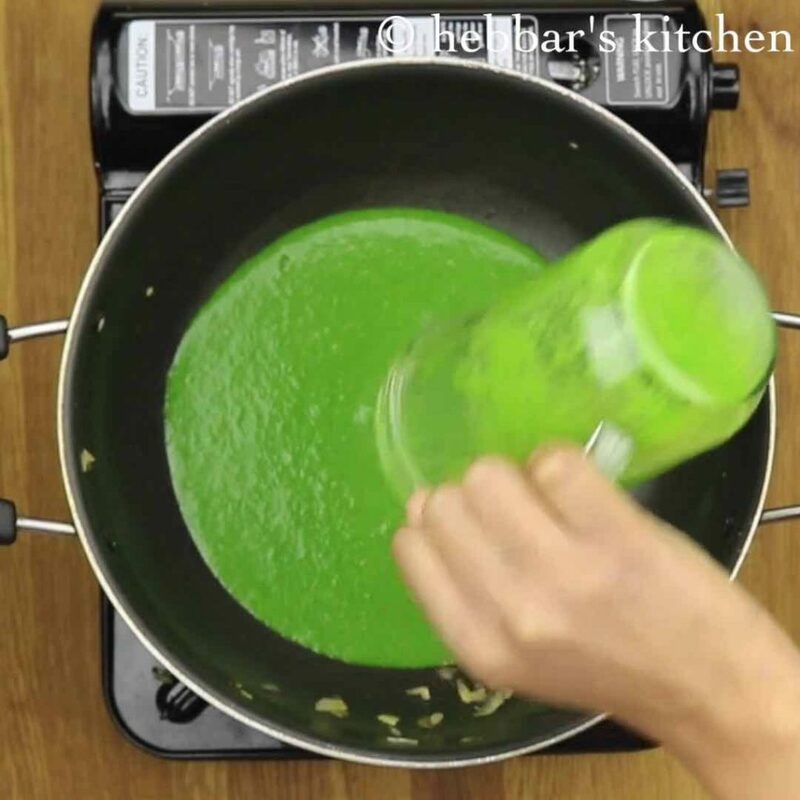 however, today i would be sharing a simple indian version of palak soup. also, adding milk is optional and you can totally skip if you are vegan and replace it with tomato. furthermore, using butter and cream enhances the flavour. 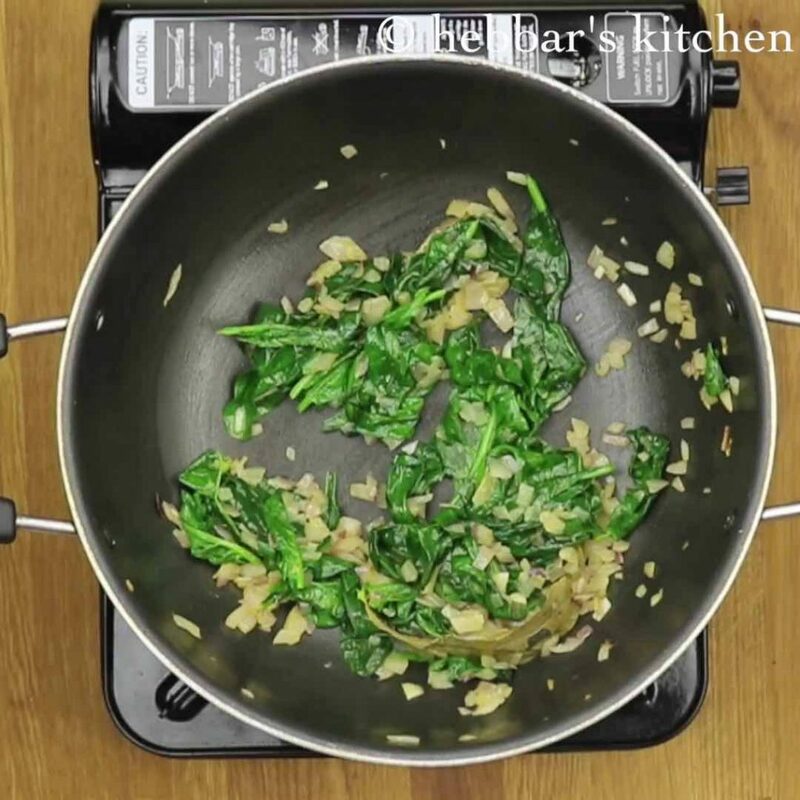 however, you can replace butter with oil or just boil spinach leaves in water. 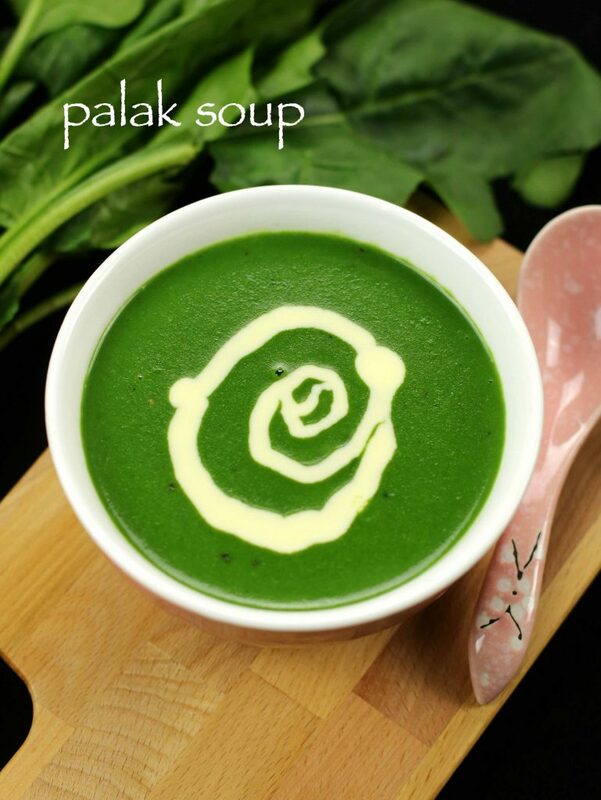 while, i am huge fan of creamy tomato soup, my husband loves palak soup. interestingly, most of the time, i end up preparing tomato soup. 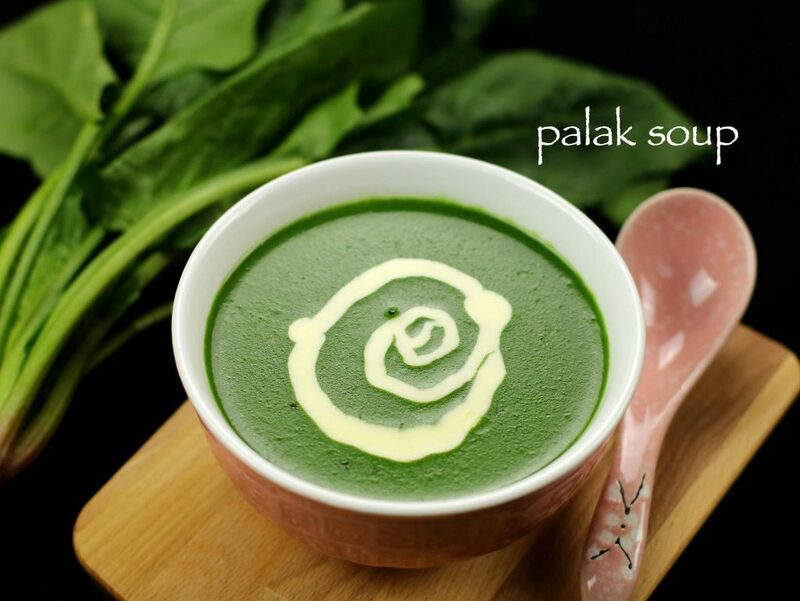 however, last week i decided to give a pleasant surprise by preparing the creamy palak soup. he prefers to be it very simple without any cream. however, this time i made the spinach soup more creamy and thick. i was skeptical as he never prefers to be thick and creamy. but he really enjoyed having the creamy version too. 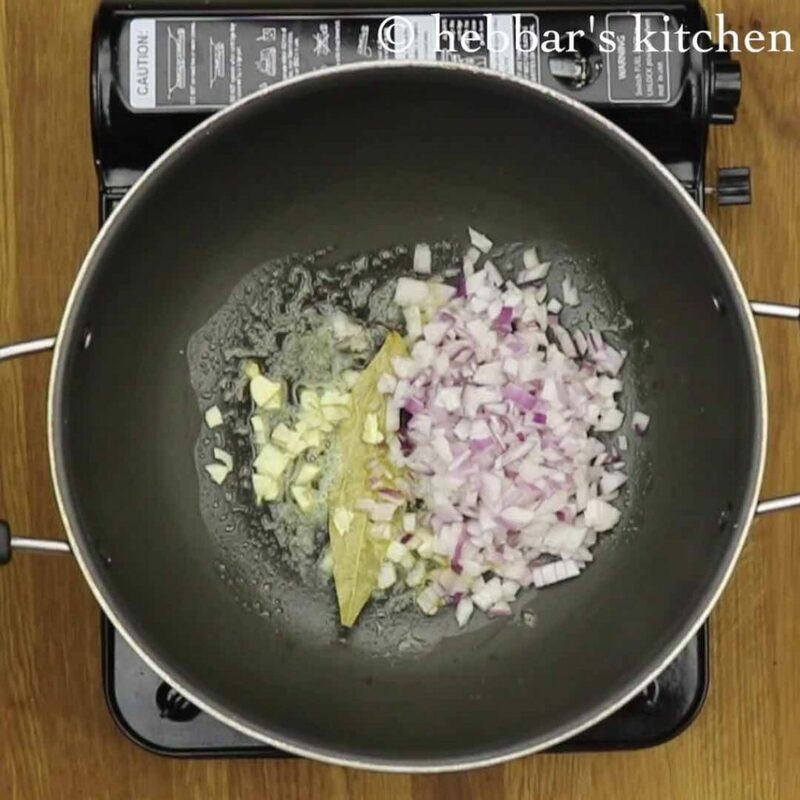 later, i than decided to make a video of the same soup and post on my website too. furthermore, i would like to highlight the health benefits of palak or spinach leaves. research has proved that dark green palak leaves are rich in chlorophyll. it is very important to improve the eye sight, cataracts and macular degeneration. 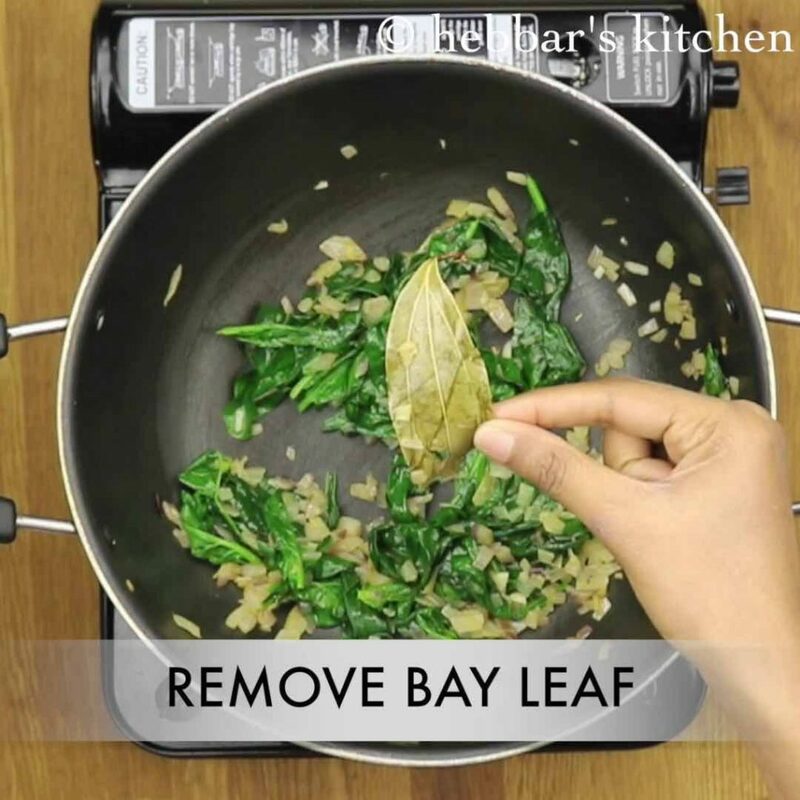 also, dark green spinach leaves are rich in iron, low in calories and excellent source of vitamins. furthermore, the spinach leaves are loaded with flavonoids. basically, flavonoids are a helpful antioxidants which protects the human body from radicals. in conclusion, i would not hesitate to call spinach leaves as nutrient dense food. finally, i would highly recommend to check out my indian soup recipe collections. particularly, tomato soup, veg manchow soup, sweet corn soup recipes. also, i have also posted south indian clear soup/rasam recipes too. specifically, beetroot soup, kokam soup, lemon soup and tomato onion rasam. 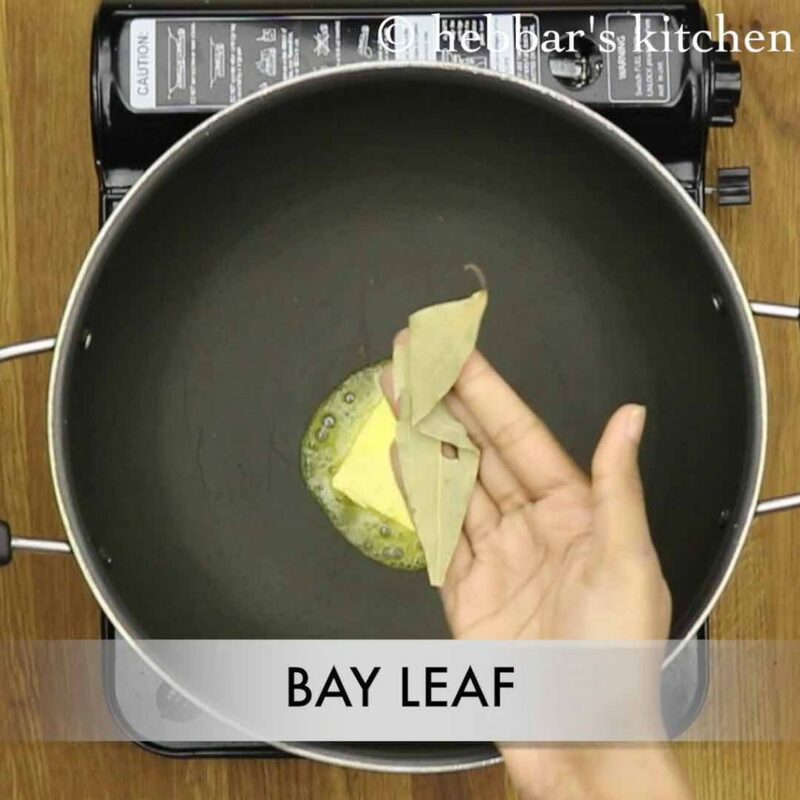 furthermore, allow to cool completely and remove bay leaf. 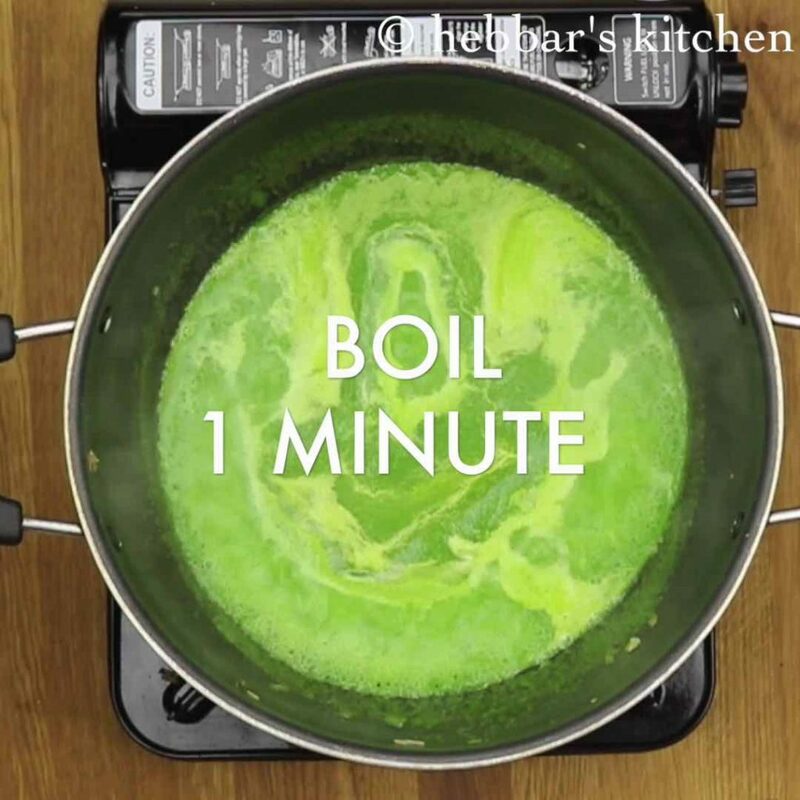 furthermore, get the puree to a boil. then pour the soup in serving bowl and top with fresh cream. 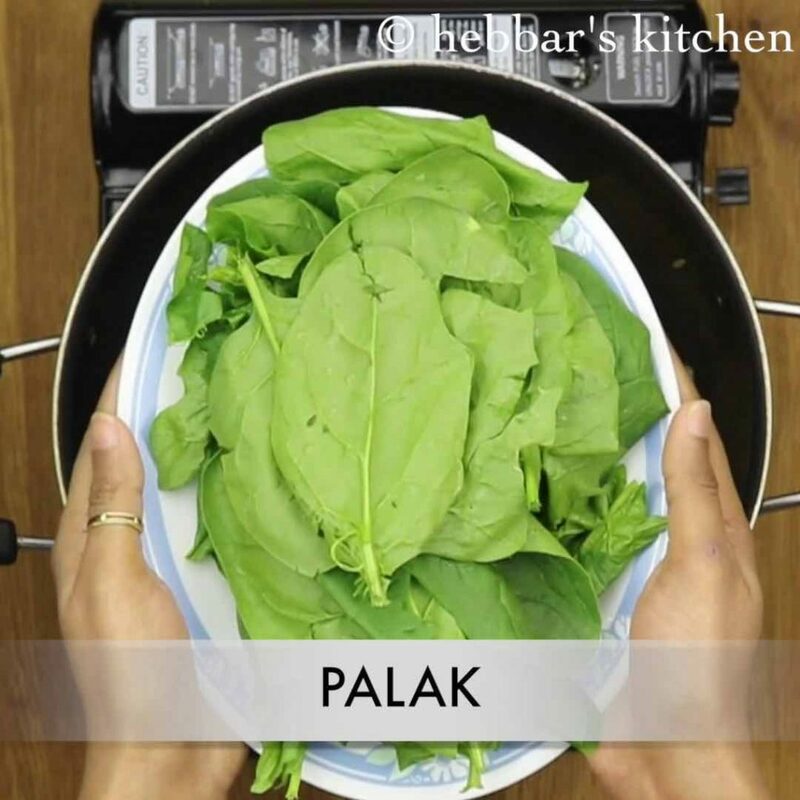 firstly, do not over boil palak as they will loose colour and nutritional value. 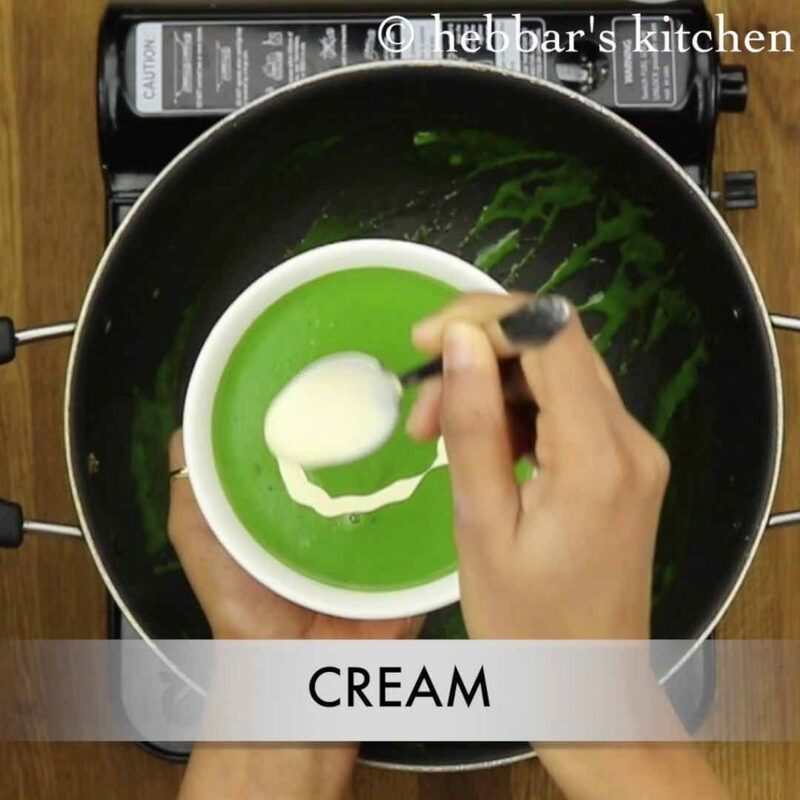 furthermore, add more cream to make the soup creamy. additionally, add cloves and cardamom for more flavours. finally, blend to smooth puree once they are cooled completely. Can we use salted butter if unsalted not available? yeah you can.. make sure to adjust salt accordingly.. Please introduce some more vegetable based variety soups. hi.. can u please tell what is that fresh cream. ?? Tried papal soup today… It came excellent… As tasted in hotel… U make r cooking easier n tempting us to try.. Keep goin..
you are welcome Vishaa. My name is Archana! !